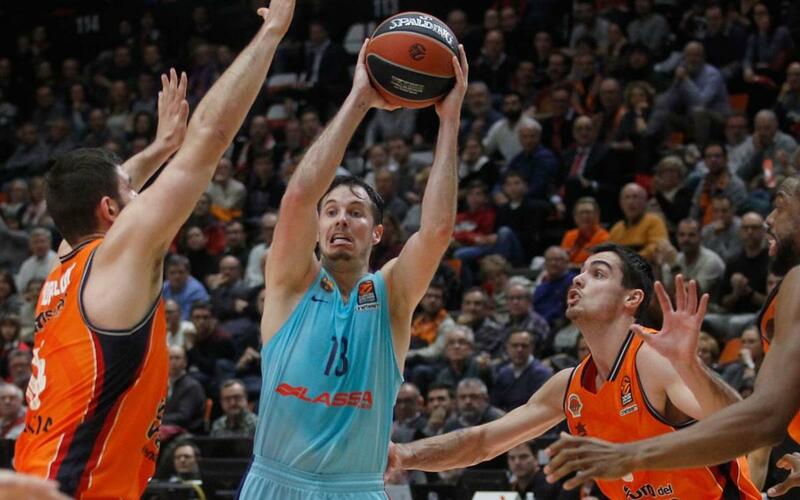 Barça Lassa fought and fought but sadly slipped to another Euroleague defeat, 81-76, this time at Valencia. The game was tight, but the home side did lead most of the way, despite the fine efforts of Barça’s top scorers, Pierre Oriola (15) and Thomas Heurtel (14). Things were still tight at 14-12 but an 8-2 streak from Valencia had tipped the balance by the end of the first period. The second period saw Barça doing all they could do cut down the lead, but Valencia always seemed to find some kind of answer and the sides went in 43-36 at the break. With Valencia 100% from 21 free throws, it was a night when things just kept going right for them, and they kept finding the points to counter all the good work being done from the blaugrana camp. Going into the final period, the 62-59 scoreline meant everything was still in the air, but that three point gap refused to budge as Valencia continued to make every free throw count. Barça are back in Euroleague action on Thursday against Brose Bamberg at the Palau Blaugrana (9.00pm CET).